Safe Sport: What is it all about? The term ‘Safe Sport’ has been a bit of a hot topic in the equestrian community as of late, especially with some well-known names appearing on the temporary suspension list. If you haven’t thoroughly read into it yet, it can be easy to feel a bit overwhelmed when it comes to sorting out fact from rumors. Never fear though, HunkyHanoverian is here to help summarize the information for fellow equestrians. So what exactly is Safe Sport? Headquartered in Denver, Colorado, the U.S. Center for SafeSport is a non-profit organization that is the first of its kind, focusing on ending all forms of abuse in sport. Created by the U.S. Olympic Committee, which also provided the start-up money, the U.S. Center for SafeSport was conceptualized in 2010, but was not officially announced until November 2016, and launched in March 2017. All the national governing bodies of Olympic sports and the U.S. Olympic Committee must comply with the requirements set forth by Safe Sport. Therefore, US Equestrian (USEF) and its affiliates also fall under the jurisdiction of the US Center for Safe Sport and their practices and procedures (link is a pdf download). What does the U.S. Center for SafeSport do exactly? The U.S. Center for SafeSport’s goal is to protect every athlete’s physical and emotional safety. Their services are separated into 2 offices: Education & Outreach (which tackles outreach, education, and training for athletes, coaches, parents, and youth sport administrators) and Response & Resolution (which addresses sexual misconduct and abuse in sports within the Olympic and Paralympic movements). Their website has lots of easily accessible informational links that further explain the goals of both offices. What does this have to do with me, as an equestrian? It requires one to report suspected child abuse, including sexual abuse, within 24 hours to certain adults who are authorized to interact with minor or amateur athletes at a facility under the jurisdiction of a national governing body. A “national governing body” means an amateur sports organization that is recognized by the United States Olympic Committee (USOC), so in our case that would be US Equestrian. An individual who is required, but fails, to report suspected child sexual abuse is subject to criminal penalties. It designates the U.S. Center for SafeSport as the independent national safe sport organization, and requires them to develop policies and procedures to prevent the emotional, physical, and sexual abuse of amateur athletes, in accordance with the Act’s guidelines. In short, federal law now states that all participants in Olympic sports, or that sport’s affiliated association (US Equestrian), fall under the jurisdiction of the U.S. Center for SafeSport. 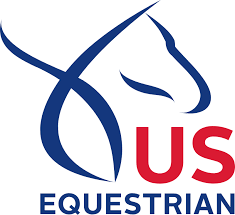 Even if you yourself are not on the Olympic Equestrian team, you fall under the U.S. Center for SafeSport’s jurisdiction if you are a member of US Equestrian, or participate in any USEF affiliated events. It is also your responsibility to report any witnessed/suspected sexual misconduct of fellow sport participants. If you do not report it, you could potentially face criminal charges. Example: I’m a junior rider who competes at USEF events. I witness/suspect a fellow equestrians of sexual misconduct. Am I required to report it? Who exactly is covered by the U.S. Center for SafeSport? When it comes to investigating sexual abuse claims, the U.S. Center for SafeSport’s jurisdiction can seem somewhat ambiguous. If a person is not a USEF member, can they still be sanctioned/banned? Yes, they can. A claim can still be reported about them and investigated by the U.S. Center for SafeSport, who can then ban/sanction them from any USEF affiliated event (or an event of a USEF affiliate). Even if an equestrian professional is not an active participant of USEF, it is still your obligation (as a USEF participant) to report them. But what if that person doesn’t go to any USEF affiliated events? Technically they can still be added to a banned/sanctioned list. It may not actually affect them (if they do not participate in such events), but it is my opinion that it would be in the best interest of all those who participate in the sport for that person’s sexual misconduct to be investigated by the U.S. Center for SafeSport. So what organizations are considered US Equestrian affiliate organizations? USEF has a handy list of all affiliates on their site. It includes organizations such as USDF, USEA, and USA Reining. Also included are several breed specific organizations such as Paso Fino and Arabian. From what I gather, AQHA is NOT a USEF affiliate, and therefore would not be required by law to comply with Safe Sport policies and reporting practices. You mentioned a banned list, who decides who gets on it? The US Equestrian site now has Banned, Interim Suspension, and Suspended lists. Important to note, USEF has NO control over who goes on these lists. The U.S. Center for SafeSport has exclusive jurisdiction over reports of sexual misconduct and determines whether interim measures, including suspensions, should be imposed. This does not mean that every person reported will immediately go on the temporary banned list; the U.S. Center for SafeSport only issues a temporary suspension when the facts and circumstances warrant it. Federal law requires USEF to uphold any bans or suspensions enacted by the U.S. Center for SafeSport in order to ensure protection of equestrian athletes. You can view the sanction lists at USEF here. Still have questions? There is a ton more information regarding Safe Sport on USEF’s site as well as the U.S. Center for SafeSport site. Take a few minutes to check them out if this introduction left you wanting to know more. This is by no means a comprehensive overview of all that the U.S. Center for SafeSport entails. I can honestly say that I am thrilled to see such a positive step being taken to change the culture of sexual abuse and misconduct in sports. Anyone who has been around a barn for very long has heard their fair share of rumors, or been directly affected by what can go on in deserted stall isles and empty tack rooms. This culture will only be changed by people speaking up. For more information of how to report a concern, including common FAQ’s, click here. And yes, you can report anonymously. Keep in mind though, reporting anonymously may make it harder for Safe Sport to investigate the allegation, and they will not be able to contact you with further questions. Post-Fall: Do you replace your helmet? Super interesting! Thanks for all the info! Welcome! I definitely thought it was interesting too, and well worth researching!